What filters do you use when curating? Here's a brief list that approximates my process. 1. Re-scoop from my community. I trust the folks I follow and often find a few on topic articles in the scoops of others. 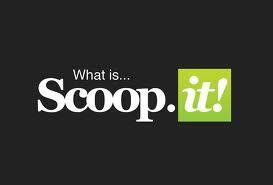 Scoop.it encourages you to follow the work of other curators. It's easy to 're-scoop' articles selected by people you trust. This is one way that Scoop.it becomes a community of experts helping each other discover ideas and resources. 2. Prismatic: http://getprismatic.com/ This search aggregator is my 'go to' filter for new stories on all the topics I curate. Once you set up your areas of interest, Prismatic presents you with a long scrolling page of articles. I open them up, scan or read deeply then make the Scoop or No-Scoop decision. 5. My own writing; I blog on on several sites: The Keyword Blog, The E-Learning Graduate Certificate Blog, E-Learning and Online Teaching Jobs blog. I always curate new materials and often 're-run' key articles I want in my networks. Questions for all: Where do you find your articles? Here are the free tutorials we offer on detecting plagiarism and properly paraphrasing and citing resources. Plagiarism Dropbox: Inexpensive licenses for school districts. One of the most difficult things to teach is paraphrasing without plagiarising. 21CIF.COM's new Plagiarism Dropbox gives you a way to provide self-paced on-demand training that will help you students recognize plagiarism as they learn how to paraphrase. Try our free sample to see how this works! Teaching Information Fluency describes the skills and dispositions of information fluency adept searchers. Readers will receive in-depth information on what it takes to locate, evaluate, and ethically use digital information. The book realistically examines the abilities of Internet searchers today in terms of their efficiency and effectiveness in finding online information, evaluating it and using it ethically. Since the majority of people develop these skills on their own, rather than being taught, the strategies they invent may suffice for simple searches, but for more complex tasks, such as those required by academic and professional work, the average person’s performance is adequate only about 50% of the time. The book is laid out in five parts: an introduction to the problem and how search engine improvements are not sufficient to be of real help, speculative searching, investigative searching, ethical use and applications of information fluency. 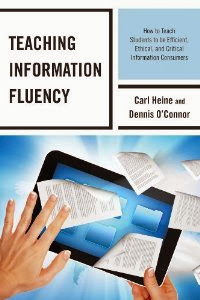 The intent of the book is to provide readers ways to improve their performance as consumers of digital information and to help teachers devise useful ways to integrate information fluency instruction into their teaching, since deliberate instruction is needed to develop fluency. Since it is unlikely that dedicated class time will be available for such instruction, the approach taken embeds information fluency activities into classroom instruction in language arts, history and science. Numerous model lessons and resources are woven into the fabric of the text, including think-alouds, individual and group search challenges, discussions, assessments and curation, all targeted to Common Core State Standards as well as information fluency competencies. Optional Pretest - we recommend you DO NOT start here. The Pretest is quite challenging and was created as a means for students who have completed previous editions of Information Researcher an opportunity to "test out" of the course. Of course, you are welcome to try it. Just realize it requires fluency in several demanding search and evaluation competencies which are covered in the tutorials. The Pretest can be turned off if this feature is not needed. Tutorials - Start Here. This is where anyone new to Information Researcher should start. There are eight step-by-step tutorials with sequential descriptions and interactive challenges. The idea here is to introduce students to key online research skills and then provide practice using them. Answers are provided after incorrect answers or solutions, to speed up learning. Any interactive challenge may be repeated to try other responses. Tutorials must be completed in the order shown, however, they may be reviewed in any order once completed. Posttest - this ten-item Certification Exam provides challenges in all the essential information fluency competencies. The goal to reach is 70%, the point at which we consider individuals to be fluent. No one is expected to score 100%, since search perfection is not realistic on the Internet. What you will not see in the Preview are reporting tools to see how your students are performing. Reports may be sorted by high scores, levels completed, names of students, etc. Reports may also be copied and pasted into Excel spreadsheets for further analysis, if desired. We recommend NOT using this assessment/tutorial tool as the basis for assigning grades. Mastery finding, evaluating and ethically using information online is not exactly quantifiable. What matters more is that students continually improve. Most students start the course with scores in the 50% range and finish around 70% or higher. As for licensing, we use a sliding scale that depends on the numbers of students who create accounts. For 1 person, a license is $10, for 2 to 10 persons, the costs drops to $5/person. Above that, a typical class is $4/person, a school is $1-2/person and a district is $1/person or less. If you know how many students are likely to enroll, we can give you a more precise cost estimate. Enjoy the preview, but be prepared to be challenged! Free download of 100 page book dedicated to helping students develop Digital Citizenship awareness. "Linda McCarthy, the former Senior Director of Internet Safety at Symantec, wrote the first edition of Own Your Space. With 20+ years experience in the industry, Linda has been hired to test security on corporate networks around the world. For the 2010 edition, Linda’s expertise is backed up by a full team to provide the best security experience possible for teens and families online. That team includes security experts, design experts, anime artists, and parent reviewers, as well as a dedicated group of teen reviewers, web designers, and test readers." Here's the table of contents to give you a better idea of what is covered. This book can be downloaded a chapter at a time or as a complete edition. Chapter 14: Look Pa, No Strings! The book is distributed under a Creative Commons Attribution-Noncommercial-No Derivative Works 3.0 license. Check our digital magazine for a curated archive of articles about information fluency that is updated (almost) daily! Newly Revised: Operator Challenges from 21cif.